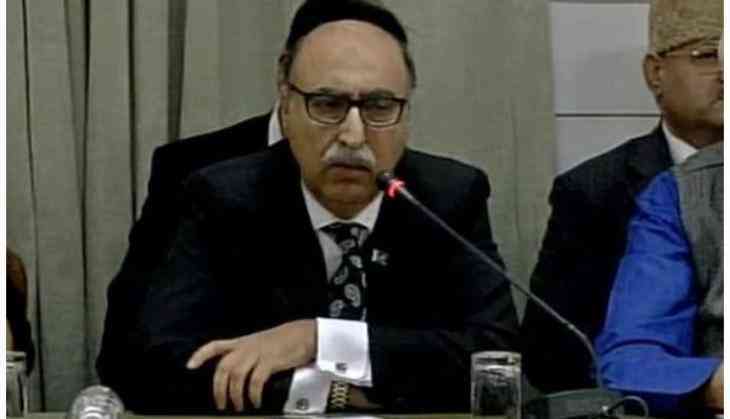 Outgoing Pakistan High Commissioner to India Abdul Basit on Saturday emphasised on a continuous dialogue between the two nations for resolving disputes. "Engagement is imperative to both countries. Both the countries had decided that they would separate talks from terrorism, because there would be forces in both nations, which cannot accept the normalisation of any relationship," he said at an event here. He said that there should be a dialogue in place to address the perceptions or misconceptions on each side. Further talking about Pakistan's support to Kashmiris, he said, "Perceptions and misconceptions in India about Pakistan's support to the people of Jammu and Kashmir are not limited to moral, diplomatic or political support. They are beyond that." "The people of Jammu and Kashmir should not be allowed to suffer because of what Pakistan or India did or did not do. Kashmiris have the right to self determination as was committed to them by both countries ," he added. His comments come a day after Jammu and Kashmir Chief Minister Mehbooba Mufti talked about the state in a seminar where she discussed issues like Article 35-A under Article 370, which gives special status to the state. The outgoing envoy said that Pakistan does not shy away from discussing issues like terrorism as the country too has concerns when it comes to this. "Once we start talking to each other there would be other issues like terrorism. So, engagement is the key and we should not take it as a favour from one country to another. It's a prerequisite; it's a necessity if we are to resolve our problems," he said.